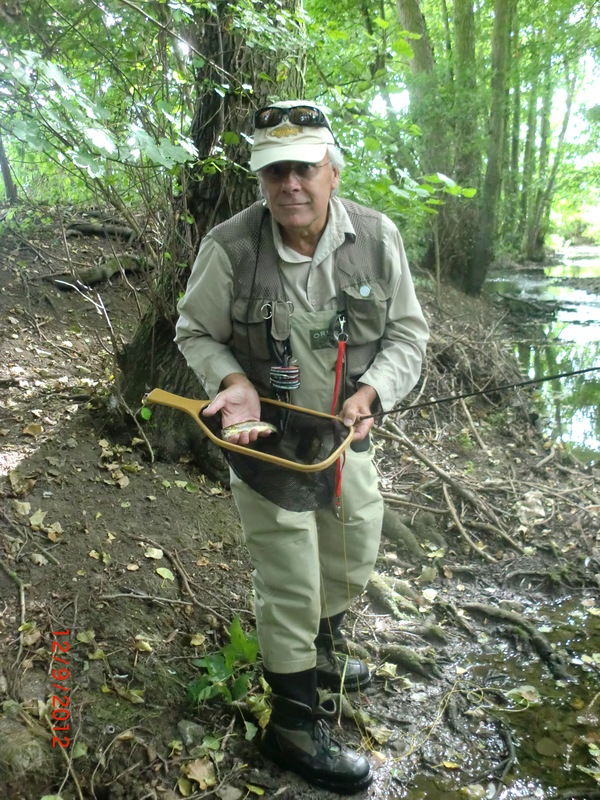 Surrey does not have many rivers, and has few trout streams! Albury is the Surrey estate of the Duke of Northumberland. 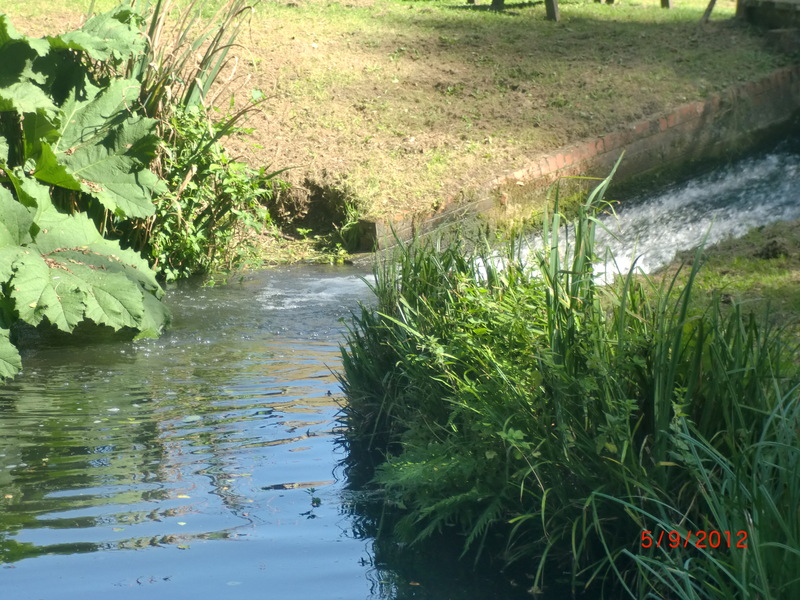 His estate team ‘manages’ the Tillingbourne, and via diversions or by damming they have created three trout lakes for still water preferrers which are stocked with rainbows. Earlier stocking of parts of the river have produced a head of resident browns, and these and some stocked rainbows are in the river at Albury. and here the river is very narrow, and rarely more than ten feet wide, and less when Summer grasses impede. 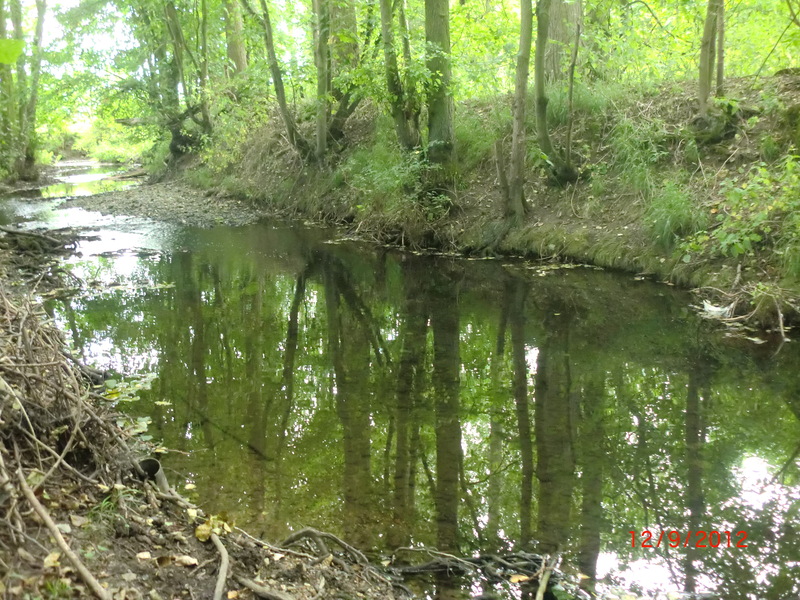 Tree lined, but with banks mowed in places to aid access, the many alders demand complete concentration when casting. 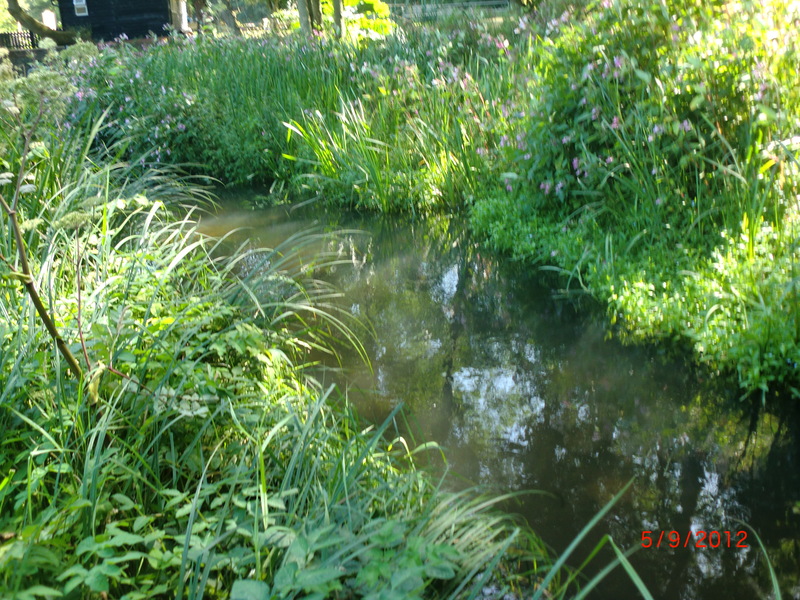 The stream is shallow and flows over sand, and weed growth is sparse. The bends produce fish holding pockets, as do the holes below tactically positioned rocks and logs. 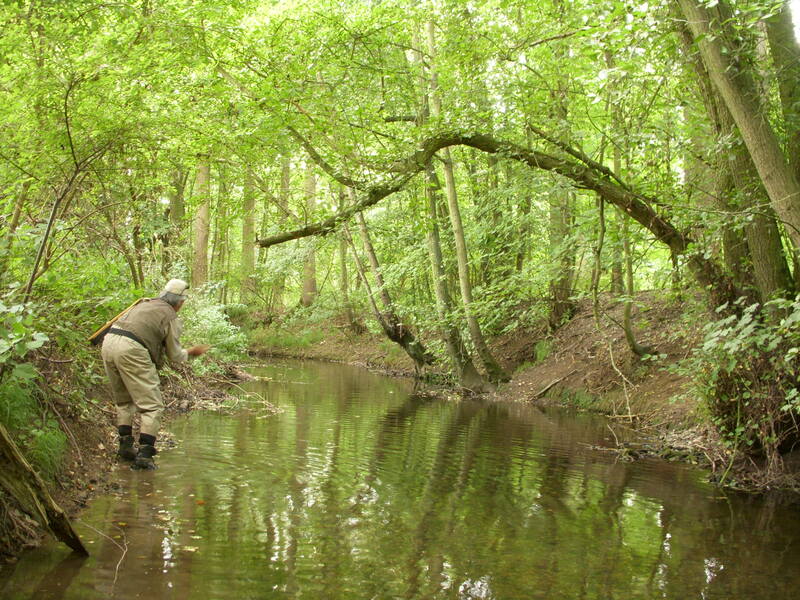 And in one of these I encountered my first fish, which sipped in my weighted PTN. 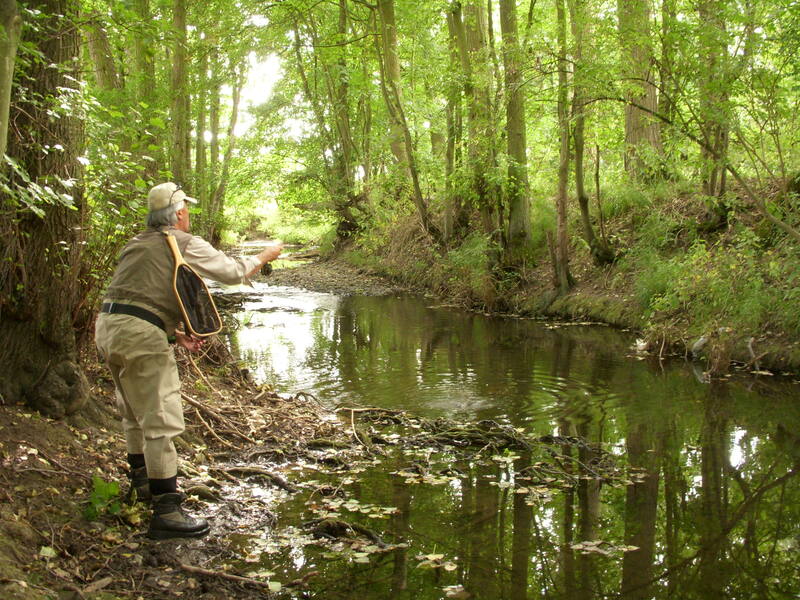 When realising he was hooked he took off, and with only one escape route open, he rushed headlong past me downstream, and my light tackle could not hold him, and my leader snapped at the tippet knot. I forgot just how powerful and aggressive rainbows are when compared with their spotted friends, and my 4 weight outfit was inadequate. Another took a PTN from a hole below an alder, but he was lost, too. The fishing offers the day ticket purchaser the opportunity to return if the number of fish one applies to take, are not. 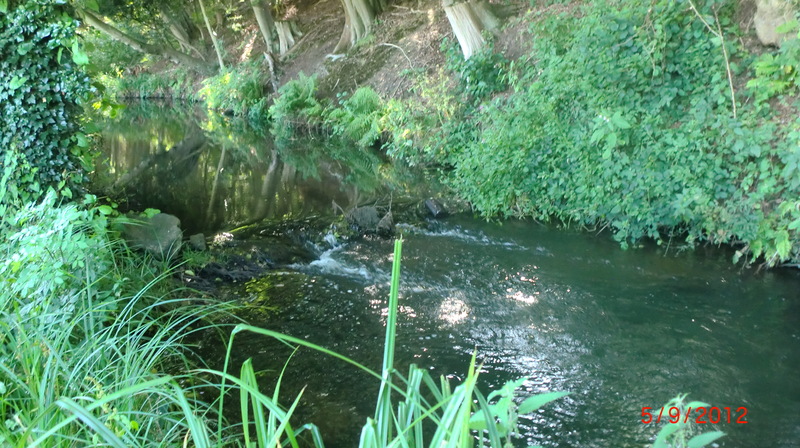 It is a very pretty fishery, and only 30 minutes from my home, so I will return!